I took a couple of photos of the walkway and bikeway along the eastbound side of Marcos Highway while traveling to Antipolo one weekend. This used to be a wide, open canal along the eastbound side of the highway, which forced pedestrians and cyclists to use the outermost lane of the carriageway. Such exposed people to a high risk of being sideswiped by motor vehicles that often speed along the sections shown in the following photos. Sign indicating bicycle path along the eastbound side of Marcos Highway. The space is supposed to be shared with pedestrians. 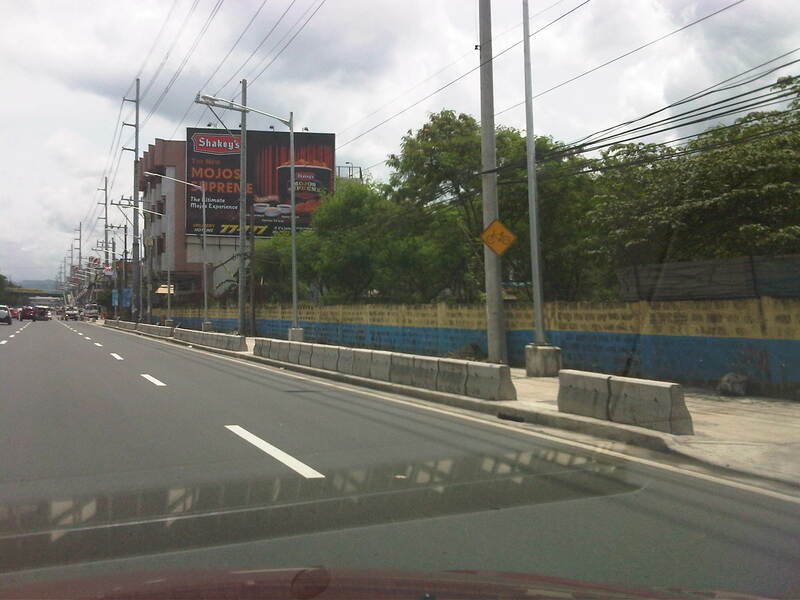 Concrete barriers are supposed to provide protection from wayward vehicles. Treatment at driveways of establishments along Marcos Highway. Notice the white line delineating space for pedestrians and cyclists. The overpass at Dela Paz can be seen downstream in the photo. The overpass has a ramp for cyclists and persons with disabilities. 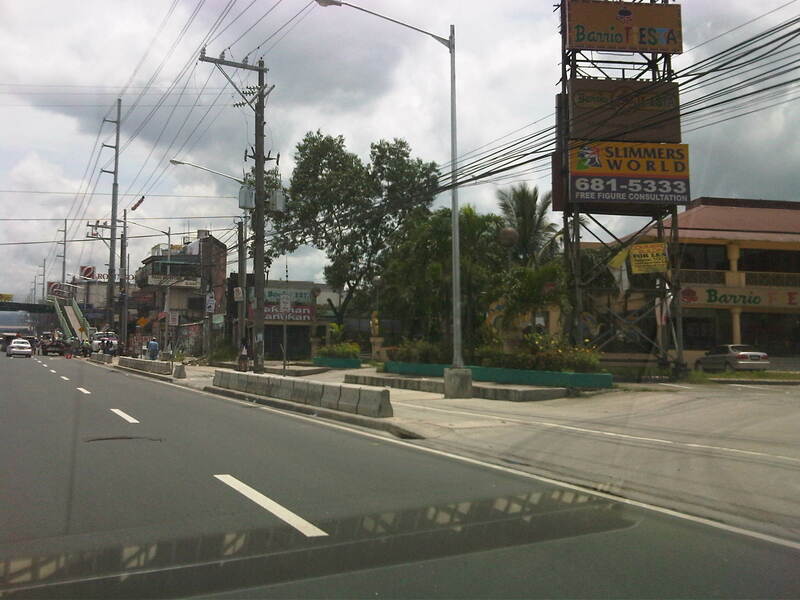 The pedestrian and cycle paths along both sides of Marcos Highway greatly enhance the safety features of the highway. These will especially be important come summer, particularly during the month of May, when many people take the Marcos Highway route to Antipolo Church in what is one of the most popular (if not the top) pilgrimages in the Philippines. By d0ctrine in Cycling, EST, Pedestrian, Walking on October 2, 2012 .